Brief description: Can always see the number of players at Axis bases but not Allied. 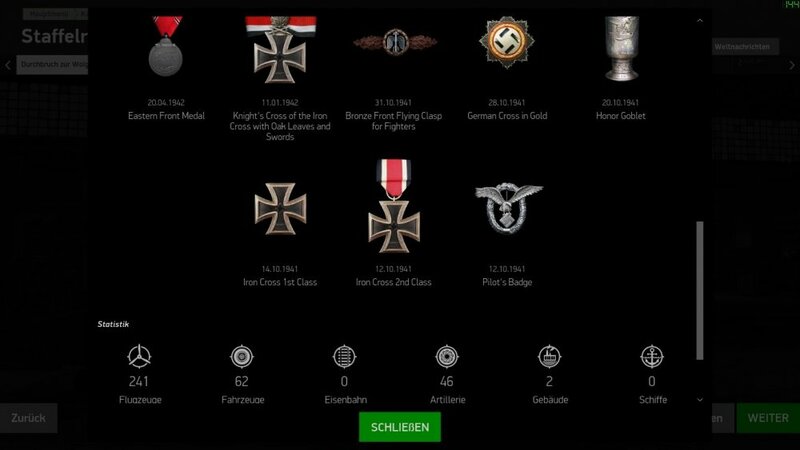 Detailed description, conditions: After joining a server I can always see the number of players at Axis bases regardless of what side I've joined. If I select an Allied base I cannot see the number of players at Allied bases but can still see the player count at Axis bases. All servers. Brief description: Bombsight elevation "jumps" uncontrollable in view mode. Detailed description, conditions: Only observed in A-20B so far. Player jumps the bombsight position ("V" key), switches bombsight elevation to "view" mode and suddenly, uncontrollable and with no apparent reason, the elevation intermittently "jumps" down by 10 or more degrees randomly, much quicker than any possible intentional elevation change could be. This does not happen all the time. On some sorties everything's fine, but if the issue happens on a sortie, it will stay during the full sortie time. Your PC config data (OS, drivers, specific software): Windows 10 Pro 64 Bit (Fall Creators Update), Intel Core i5-2500K, Nvidia GTX 970, 16GB RAM, game on SSD. 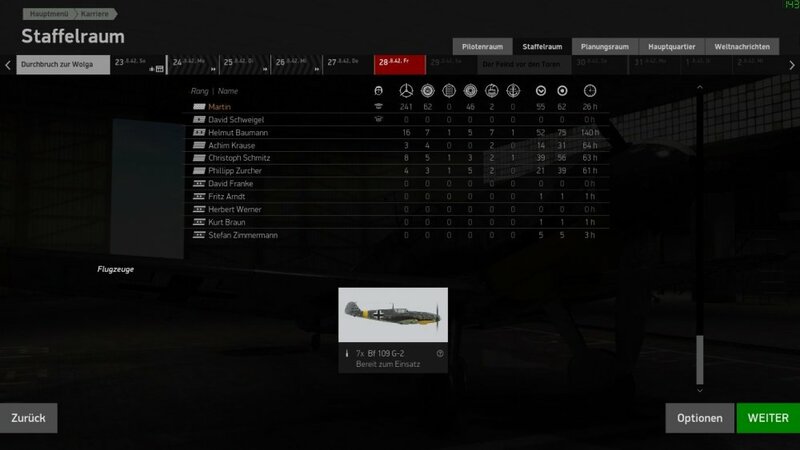 Just experienced the same bug with a Ju88 on Wings of Liberty. Apart from that the triangle on the bombsight of the Heinkel H16 on the last FNBF was not creeping down slowly as usual, but moved down in larger steps. My specs are the same exept I got a 980Ti. 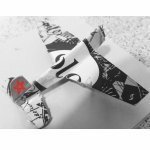 When it comes to Spitfire LF Mk.IXe there is a note: combat debut: June or July 1942. I think it should be changed because it is incorrect and this date can be an important, hard point of reference for mission creators. And it is rather precise in case of other planes we have in the game. - 0.303 Browning machine guns etc. It was a huge difference in major aspects between mid 1942 and mid 1944 Spitfires. Production of engines with injection carburettor - 1750 hp Merlin 66 started in September/October 1943. First Spitfire IX with "e" wings with 0.50 calibre Brownings were introduced (modified) in March 1944. So for the LF Mk.IXe, which we have in the game, combat debut date is March 1944. Detailed description, conditions: Pressing the assigned keys appears to do absolutely nothing. Sometime, the game refuses to pause or change time compression. Other times, it refuses to unpause. Scripted campaign mission, Kuban map; occurred several times in one hour. Your PC config data (OS, drivers, specific software): Windows 10, NVIDIA 397.31, TrackIR 5. Detailed description, conditions: Game tracks recorded prior to v3.005 cannot be replayed. 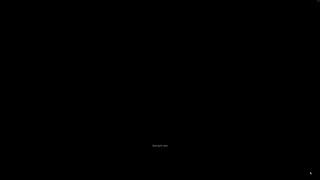 They cannot be loaded due to Error #10000, or there's a black screen and a CTD after loading. Imagine you don't have access to your docs created before the last MS Office update. I just noticed an "older" issue, where the game freezes or crashes, when you start a flight in one of the newer planes and hit the I key. The only workaround is to begin in one of the old planes. After that you can fly the newer ones and hit the I key without any problems. The issue was introduced one or two updates ago. I guess it's an NVidia driver issue? Scandic letters not working in multiplayer chat. Can provide screenshot if necessary. You cannot use a joystick input for tank turret control while in VR mode. 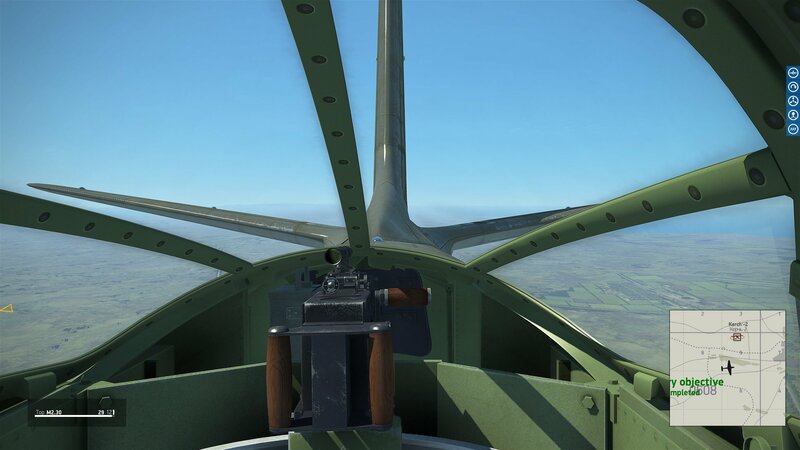 In VR mode, with default settings, while nested into the gunners sight and taking control of the turret, any mouse input controls the turret perfectly. The gunsight picture stays centered in your VR view while the turret outside moves. The defaults for the mouse inputs for the turret control are assigned to the move pilot head position. However I need to use the joystick as an input control as this is my primary input in VR mode using HOTAS while flying. By removing the mouse assignments to the move pilot head position and replacing the assignments with joystick inputs the control is very different. 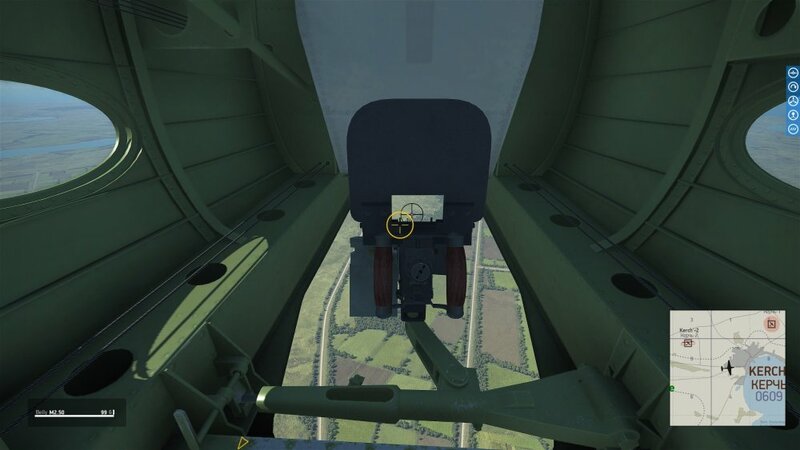 In VR mode, with the joystick input settings, while nested into the gunners sight and taking control of the turret, any joystick input controls now moves the gunsight picture away from you VR view center. It is moving the pilots head away from the gunsight view as you would logically expect. After all, you are turning the pilots head away from the gunsight if VR is working properly. But it is supposed to be controlling the turret outside while keeping the gunsight picture centered in the VR view? See attached for settings. Showing the gunsight picture at different positions on a black background as viewed in VR is not helpful. Brief description: Special icon commands are visible as tooltips on the map. 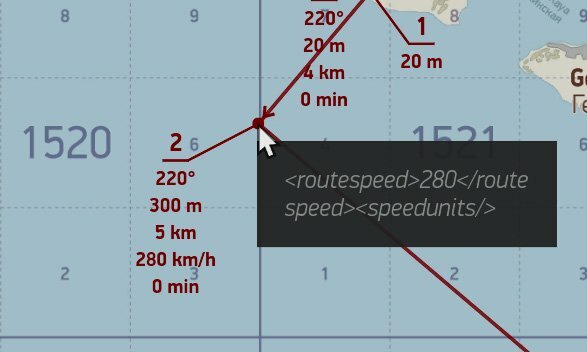 You can use special "<routespeed>420</routespeed>" text in the icon description to specify route point speed - but this text is then visible as a tooltip (see screenshot). Issue is visible in the "Sea Dragon" campaign. You cannot click on symbols that have icon or a text on the map and then drag the map around - the movement is blocked. With a crowded map this is an issue as you need to find a "free" space on the map where you can click and pan the map. I don't think it is very useful to show speed and time for the first icon - as this is usually where you start your flight from. Detailed description, conditions: Full screen checked, won't play in full screen if resolution selected is less than the full panel resolution (5k panel, trying to run at 1/2 that). Seems like it doesn't change the desktop resolution at all. Detailed description: I'm using a T.Flight Hotas X and trying to map the zoom function to two buttons (btn4 and btn5). Regardless of which order I enter them in the key mapping menu and whether or not I tick the "invert" option, btn 4 zooms out and btn 5 zooms in. I want to map the opposite of this. I don't understand what you're doing with the inputs but this is ridiculous. Brief Description: Stuttering camera movement when moving the pilots head to look around while using force feedback. Detail Description: The framerate is not an issue. If you do not turn the head of the pilot there is no stutter. Framerate remains constant while turning the head of the pilot. The input/update rate, or ticking, on the controls for turning the pilots head dramatically decreases, dropping from every frame to approximately one out of ten frames. This causes stuttering when turning the pilot's head to look around. There is no stuttering when the aircraft is parked with no wind. There is no stuttering when autopilot is enabled. There is no stuttering when force feedback is disabled. Brief Description: When Custom Realism is used and the "Auto Throttle Limiter" box is unchecked, then the throttle axis will control the pitch lever instead of the throttle lever. This bug is for the La5, La5FN and A20B planes. Detail Description: I use the Custom Realism mode where certain helpers are checked and others not. It is an intermediate situation between Normal and Expert mode. I had no problem with many of the planes except the three ones above. This bug has been already mentioned in a thread in the Forum but maybe never posted in this Bugs chapter. Thrustmaster Warthog Hotas with latest firmware and Target software, and latest pedals. Nvidia GeForce GTX 1080 Ti with latest drivers. Brief description: Bombsight elevation "jumps" uncontrollably in view and auto mode. Detailed description, conditions: Experienced tonight on the Ju88 on Knights of The Air server. First flight was fine, second sortie was a nightmare to get lined up on the target. Exact same bug as described by Storebror. Happens both with and without bombs. Many people told me about it but that is the first time I experience it myself. But it is super annoying ! Your PC config data (OS, drivers, specific software): Win10, everything up to date, trackIR software running. The A-20B upper cowl control does not respond from the moment the user has used an engine selection, and until the user specifically uses the 'all engine selected' key. This makes it very confusing during the start-up procedure, when the user has to select individual engines to control them separately. Normally, selecting engine 1, then engine 2 selects all engines, it's not necessary to hit the '0' key to do that. No, even when all the engines are selected, it doesn't work anymore. The user has to select all the engines with a specific key, which is confusing (that's why I see other similar reports). Yes, you have to use that key to select both engines. Like I said, working as intended. You can select the engines individually until all are selected, if I'm not wrong? - use '1' to select only engine 1. => both engines are selected. At least, that's how I always did, and all other functions are working correctly like that, except this unique feature. - select '2' (with 1 still selected), adjust again, and at this time I have both selected again. So what is incorrect or what did I miss, and why do you write that I *have* to use that '0' key to select both engines? I don't understand anymore. Here are two threads dealing with the problem, showing that obviously it's not clear for everyone. In the first one, it's the actual same confusion, in the second one, the OP is wondering why all engines have to be selected since it's a global settings and shouldn't require that. From a logic point of view, the first one is correct (and repeats what I said), when both engines are selected, now matter how, it should work. The second one goes further in the robustness of the feature and works in all cases, because the requirement doesn't bring any positive (especially when it's obscure like now), and brings at least one positive (fewer people will be confused, it's easier to use). With that 2nd solution, those bug reports wouldn't even exist. It's working as intended, per internal beta test discussions. i have 61 flights, but dont get the badge because i only have 55 successful flights. In addition, if you change the squadron, the counter starts again at 0, because you have 0 flights in the new squadron. you should get the badge at a certain number of flights, no matter if successful or not (flown missions)? Well, in that case, it is working properly - as it's the number of successful missions that are required to earn the combat clasps. Just the way the devs decided to code it. So, five more missions, and you'll have the silver version earned. Detailed description: In previous versions of the game when starting the Pe-2 Series 35 the valve box located in front of the control stick was closed when engines had started up. After latest patch 3.007 it stays open. Additional assets: Screenshot attached. System as in signature, latest WHQL drivers and BIOS. Detailed description, conditions: The Cowl outlet open/close commands (LALT -/=) operate correctly when joystick/throttle Saitek X65F is NOT connected, ie keyboard only. When the X65F is connected the command (LALT -/=) is activated by moving the joystick axis commands, ie pitch and roll input opens and closes the cowls. when I push V key, I dont see bombsight after the patch 3.007. When I push "V" key (Bombsight in every bomber) I see black screen with info Waiting for data (tested Quick Mission). Installed the whole sim again = the same issue. Detailed description, conditions: In VR we have floating box that is about 50cm in front of us, and Menu is projected on that. It is a clever solution, but box is too small for such amount of text in VR. The letters are unreadable. It is the same problem with all messages when flying. I already tried to set menu size 150% but that is locked on 100%. Also, if Menu box is much bigger, and away (on 1-2m minimum), then we do not have to cross eyes to read something. Now i have to recenter it in vr, than come closer, and close one eye just to see something in menu. EDIT: Info from IL2 support; 125% and 150% size is available only for highest resolutions, higher then full hd. 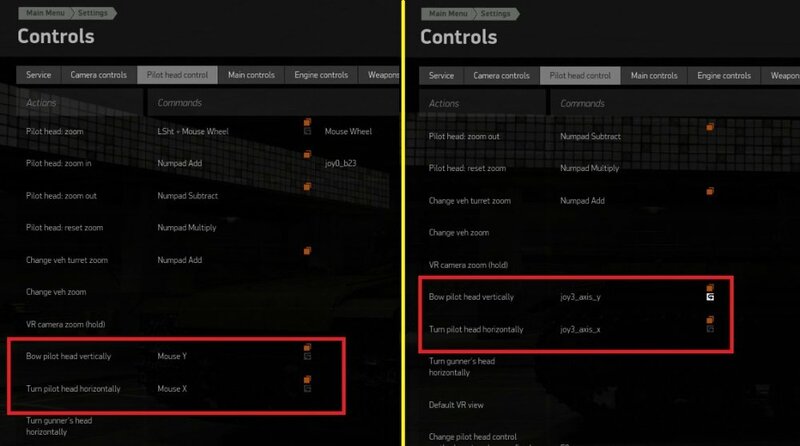 Detailed description: The top HMG M2.50 and the belly MG M2.30 have their names switched in the HUD. Additional assets: Screenshots attached. System as in signature. Version 3.009. Detailed description, conditions: WHen spawining in the Bf 110 E, the radiators for each side are not opened to the same degree. Thr first radiators might be opened to 100% while the second radiator might be opened at 25%. Edit: I did some more testing and ti seems like the Bf110 G2 also has unevenly opened water radiatiors when it spawns in a mission in parking. This does not happen when it spawns "on runway" (engines on). Posted within this Forum several times over the last few months. Brief description: 'Gear Down' & 'Gear Released' HUD messages reversed. Detailed description, conditions: When you lower the undercarriage the technical HUD says 'Gear Down', and when the undercarriage is down the HUD says 'Gear Released'. Should be other way round? Version 3.10C Pe-2 Series 35, can't map propeller RPM increase/decrease command to a switch/button and have it work. I used to have it mapped to a switch on my CH quadrant and it worked fine. Redid mapping after changing other hardware, now with the same mapping the switch doesn't activate the RPM toggle in the cockpit (you can the RPM toggles going forward and back on the left hand console if it is working correctly). The default keyboard command Right Shift + - Right Shift + = still works normally. Brief description: Double input when using keyboard emulator software. Detailed description, conditions: I'm using a keyboard emulator to allow me to use some devices in IL2 and DCS (the saitek switch panel mainly), however IL2 seems to register inputs differently than it should when using ctrl, shift or alt combinations. When the panel is sending the Lshift+N input, a regular software (Notepad, Microsoft Word, DCS...) will only register that input, but IL2 will register both N and Lshift+N at the same time. So as a result in IL2 I have both the lights switching on/off and the map opening with a single input. and it will do the same with Ctrl and alt keys. Maintaining N while pressing shift will trigger both the map and the lights at each press on the shift key. While it is not a big deal, it might cause some compatibility issues with some joystick programing softwares depending on how their code is written. So maybe this might be improved at some point within the code of IL2. I just got done trying the bomb sight in the A-20 after flying it once and loving the way she handles. When I press the designated key for the bomb sight though (V) I get a black boxed screen and at the bottom it says “Waiting for data”. This is while in Rift VR. Bug, or something previous to going into that screen needs to be done? Earlier posts here post it as some sort of bug. Brief description: Spitfire yaw trim speeds up when moving it to the left. Detailed description, conditions: When the pilot uses the yaw trim, and trims the rudder left, the rotary moves faster than when you move it to the right. Also increases the speed of %, several missions and quickmissions tested. Additional assets (videos, screenshots, logs): None provided, easy to replicate, last version as of today. 3.011b. Steam version. Your PC config data (OS, drivers, specific software): Signature. After the recent update to 3.012 my Thrustmaster Warthog Joystick is no longer recognized by IL2. Previous mappings for the controller are still present, but attempting to remap a binding with the controller's buttons or axis is not recognized. There is no third party software such as T.A.R.G.E.T in use, the controller was directly connected. I have connected another controller since the update which was recognized when I first started (F16 MFD). The controller works normally in other games and Windows Controllers settings. Uninstalled IL-2 again and cleaned out all directories and registry entries, disabled all controllers except my Primary sets (8 devices) and the controls worked perfectly! Shut down IL-2, re-enabled the additional controllers and started IL-2. 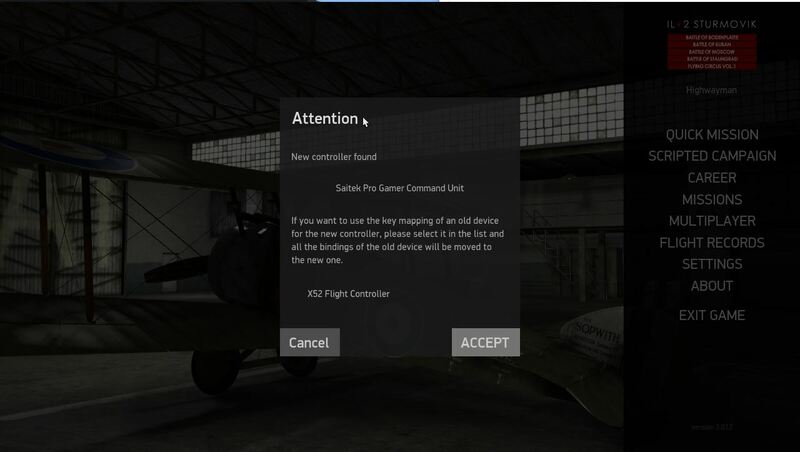 Pop up window stated that new controllers had been detected and the devices.txt updated with the 2 of the 3 new controllers. IL-2 was VERY laggy at this point and didn't respond for almost 3 minutes before I could accept the prompt to Cancel the key mapping swap from another controller. Note how the option is to map the Warthog Joystick and X-52 across to the new controller. Went to the keybindings and the Warthog Stick was no longer recognized again. Shut down IL-2, disabled the 2 x F-16 MFD's, deleted the entries for them in devices.txt and started again. Pop up window stated that new controllers had been detected and the devices.txt was updated with the controller. 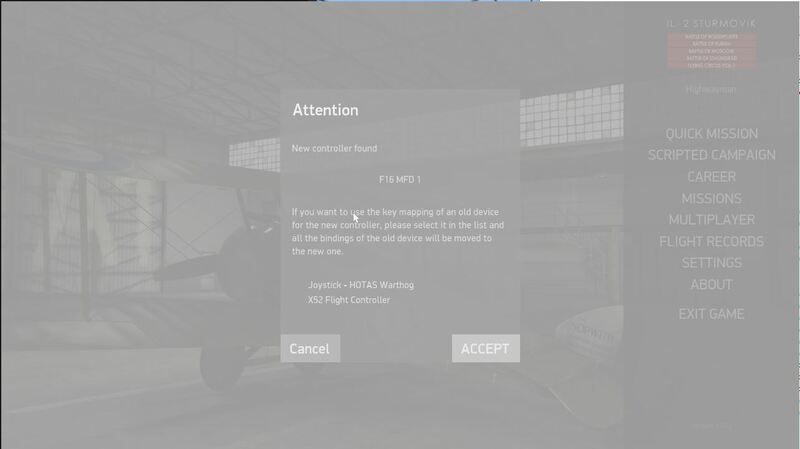 IL-2 was VERY laggy at this point and didn't respond for almost 3 minutes before I could accept the prompt to Cancel the key mapping swap from another controller. Note how the option is to map the X-52 across to the new controller. Went to keybindings and the Warthog stick was back! Checking the X-52 however, showed that it was NOT recognized. Repeated all of the above steps a second time to confirm the issues successfully. Also noted that at the first step where the Warthog Stick and X52 are shown as available for mapping swaps that at this point, neither controller was recognized within IL-2. 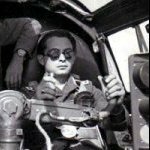 IL-2 seems to be capped at recognizing 8 controllers, and the user has no opportunity to dictate what these controllers should be, thus when starting IL-2 with more than 8 recognized controllers the program seems to determine for itself which controllers to drop in favor of the new ones. Request adding the option for more controllers, or choosing which controller the user would like to use/disable if there is no option of increasing the number of controllers addressed by the program. Detailed description, conditions: i see no reason why thouse messages should not be visable to player on any difficulty settings, with the way engine limitations work in game that they depend on time used and not temps its crusial that players is informed when they expired and especialy recovered ( no other way to know when this is achived by looking at gauges in cockpit) on any difficulty settings so i think this is bug. Also if in Custom Realisam settings option Instrument Panel is untick, thouse messages will not show up, but if that option is tick on then messages show up. So it seams apeearance of this messages is tied to this Realisam settings, why i dont know. They should be shown like any other tech chat messages ( some of even less importance then this one) all time no mather of realisam setting as this is one of crucial airplane information to player he cant get any other way.